Masters final Results Recruiting (Review) notice Under national University of Bangladesh. 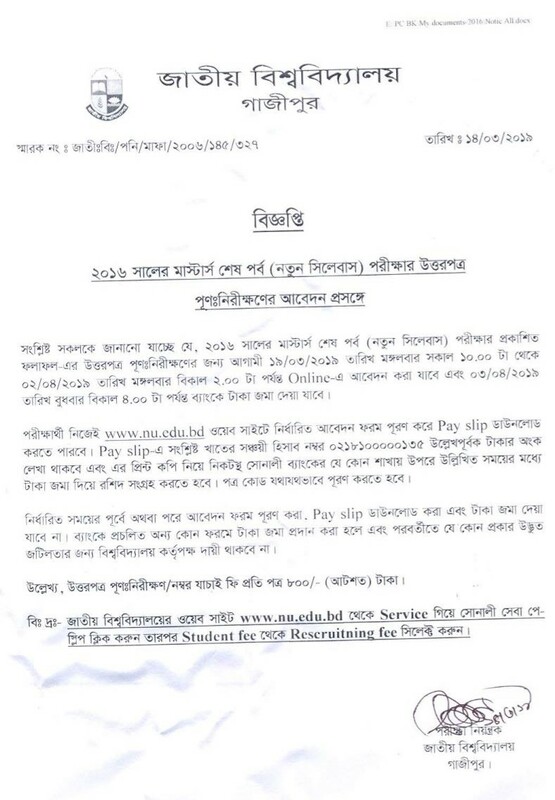 The National University of Bangladesh has published the notice of Masters final Results Recruiting (Review) notice 2019 for the session of 2016. This result has published at last 13th March 2019, Student who want to review their answer paper they can apply for Recruiting at below time. Online Application Start date See the Main Notice below. Online Application Deadline: See the Main Notice below. More information stays with us. See this webpage regularly. MA recruiting result will be published or not . If not how to get results? before getting the recruiting result the form fill up is going on, how its possible looks strange!